This is a brilliant manual pump, which produces just as much milk as an electric pump if you’re happy to put in the effort. I have the Medela electric breasts pump which is brilliant, but it is a bit noisy so I can’t really use it at night without disturbing my husband. I’ve also tried using the electric pump in batteries without the cable but it doesn’t work as well so it’s fiddly to move around to different rooms. The manual pump is silent and really portable (aside from having to sterilise it between uses). I’ve even used it in the car (as a passenger of course!) when we’ve been on the motorway meaning I had a fresh bottle for when we stopped at services. The only tiny downside is that it doesn’t come with a carry case but I just use the one that cane with my electric pump. Overall I’m impressed with how much milk I’m able to pump using this, and relatively quickly too. The only difference is the convenience of not having to manually pump with the electric pump. I would recommend this product to anyone wanting to pump and would suggest trying this over expensive electric pumps if you’re unsure whether pumping is for you. I expressed with my eldest with an electric pump but couldn’t get replacement parts so found this one and WOW - so comfy and able to get double the quality. I've tried quite a few pumps now, and of the manual ones this was middle of the line. The best part about it is there aren't too many pieces to clean making it easy to take out and about but I didn't find it that effective. This pump is brilliant, I started using it about 3 weeks and it really helped increase my supply. It's lightweight, easy to clean and effective at removing milk. Works well with lansinoh bags which attach to pump. 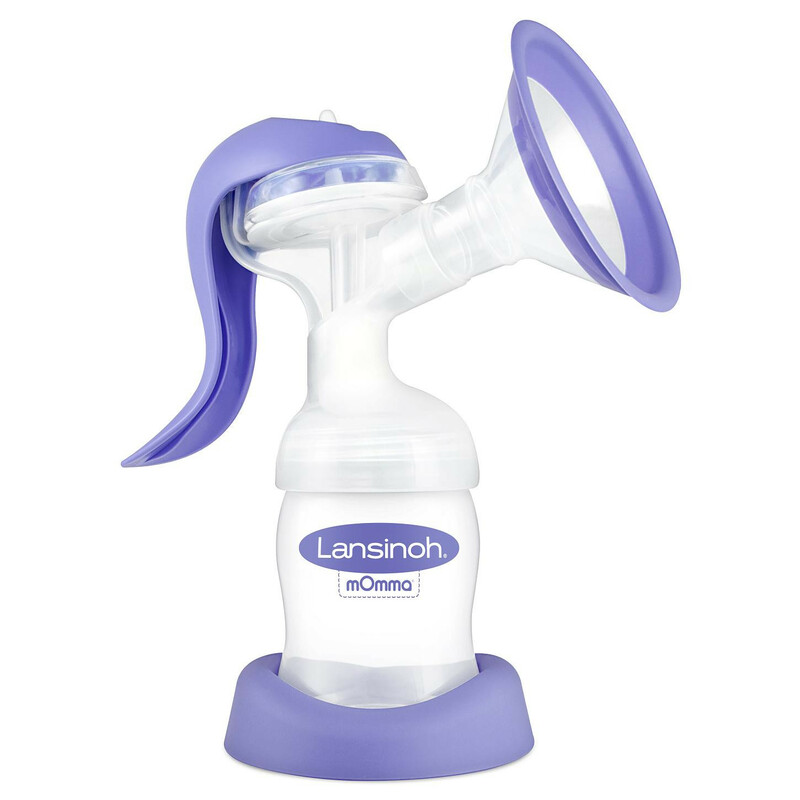 With its innovative design the Lansinoh Manual Breast Pump features adjustable two phase technology for improved milk flow and comfort. 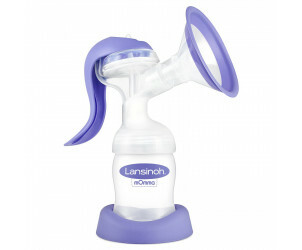 Easy to use and assemble, the Lansinoh Manual Breast Pump is also a silent and quick pumping solution. A secure seal is created with the unique ComfortFit breast cushion for efficiency. One handed use is possible due to the breast pump's Easy-Express ergonomic handle. You can be discrete if you need to take it anywhere too, due to its lightweight and compact design. 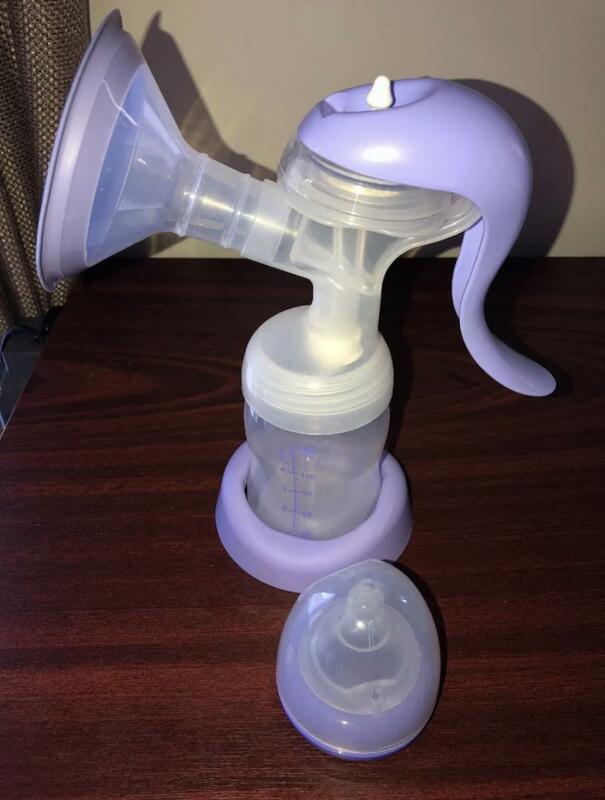 This breast pump is simple to clean and is dishwasher safe.